In less than a month, the new reality of annual Star Wars films will come to be with the release of Gareth Edwards’ Rogue One. A lot is already known about the film’s basic plot and its principle characters, headlined by Felicity Jones’ Jyn Erso. The call to arms for Jyn is made apparent in the trailers for the film, her father has played some role in the design of the Death Star, and the nascent rebellion against the Empire needs Erso’s help to stop the ultimate weapon of fear. 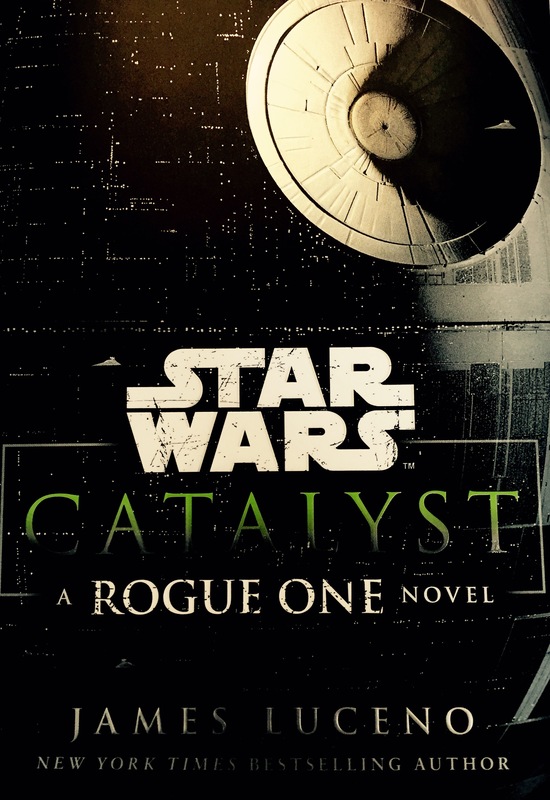 In Catalyst by James Luceno, the origins of Rogue One’s villain, Director Orson Krennic and Jyn’s father, Galen Erso, are explored over the course of years which begin during the Clone Wars and conclude not very long before the setting of the movie. Catalyst is an entertaining read, but not essential (presumably!) to enjoy Rogue One when it comes out in December. Catalyst author James Luceno is no stranger to the Star Wars franchise, having written a number of now Legendary novels, as well one of the first entries in the new Expanded Universe, Tarkin. Luceno’s style finds a comfortable place between balancing descriptive exploration of the characters and the world around them and moving the plot or characters forward. In Tarkin, we found him quite enjoyable, and with Catalyst, which has something of a slow start, the final 200 pages of the approximate 330 page novel simply fly along at a rapid clip of fun reading. For those, however, looking to learn something of Jyn Erso, very little but vague descriptions of a small child will fulfill that need. The novel revolves between Krennic and Galen Erso foremost, bringing in the supporting cast, if you might call it that, of Lyra Erso, Jyn’s mother, Wilhem Tarkin, and a smuggler named Has Obitt. Both men, Krennic and Galen, are driven in their lives, one by aspirations of power and the other by scientific curiosity. It’s no secret that Krennic’s main narrative role involves the construction of the Death Star and much of Galen’s place in Catalyst involves being lured into working, generally unwittingly, for Krennic in the design of a weapon for the battle station. In Krennic, Luceno found a character he clearly enjoyed writing, as the Imperial officer could almost be considered the protagonist of the novel – facing various challenges, technological and political, and deftly navigates them – if, however, one is rooting for the construction of the Death Star. Nominally, Galen Erso is tapped as the individual the reader should be cheering. In Catalyst, Erso is not just a genius, he’s a genius’ genius. Remove the schizophrenia, and one finds something of Russel Crowe’s John Nash or Benedict Cumberbatch’s Alan Touring, individuals who lost themselves in the pursuit of knowledge and unraveling mathematical equations. In the novel, Erso is obsessed with using crystals to generate power, and this obsession remains his prime motivation with the exception of his family. Lyra Erso is given a little attention and background, but for the majority of Catalyst operates relatively as Galen’s wife and to a lesser degree, Jyn’s mother. While a surveyor and explorer, only a brief bit of time is dedicated to exploring those aspects of the character, which is a missed opportunity in a novel that has a severe imbalance of representation between genders. Wrapped around the doomed partnership of Krennic and Galen Erso are fascinating facets of Tarkin’s career prior to his command of the Death Star (one presumes this will happen after the events of Rogue One) and a glance at the formation of the rebellion against the Empire, complete with a short appearance of Saw Gerrera, a character from The Clone Wars who will be played by Forest Whitaker in Rogue One. 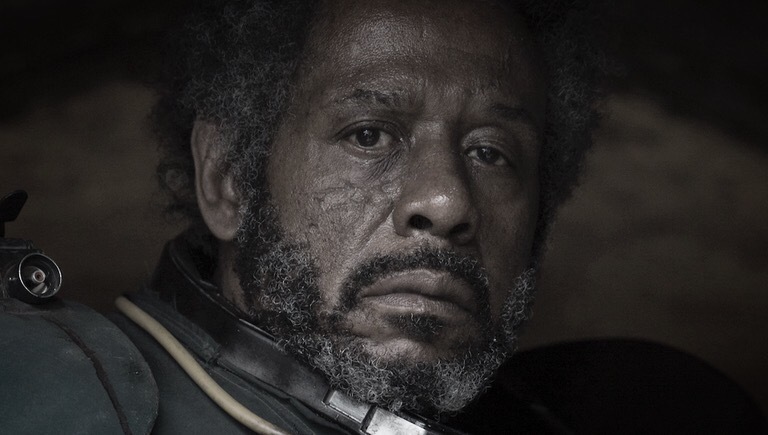 Palpatine’s horned bureaucrat advisor, Mas Amedda, appears, but mainly to either threaten or encourage Krennic along his path to constructing the Death Star. Finally, who should read Catalyst? As the principal and final addition to the Expanded Universe in 2016, Catalyst can be enjoyed by any Star Wars fan who loves reading and exploring the franchise through the written word. For those who want a clearer back history and understanding of Galen Erso and Orson Krennic going into the movie theater in December, Catalyst is a must read. At the same time, Rogue One would not be written with reliance on Catalyst to do the heavy lifting, so the novel is definitely, or hopefully, unnecessary to understanding that film’s characters or plot. James Luceno is a solid writer, and fans of his other works should find Catalyst just as enjoyable. Overall, while somewhat flawed in its representation of all its characters other than the two men mentioned above, Catalyst is an enjoyable diversion in the Star Wars universe.